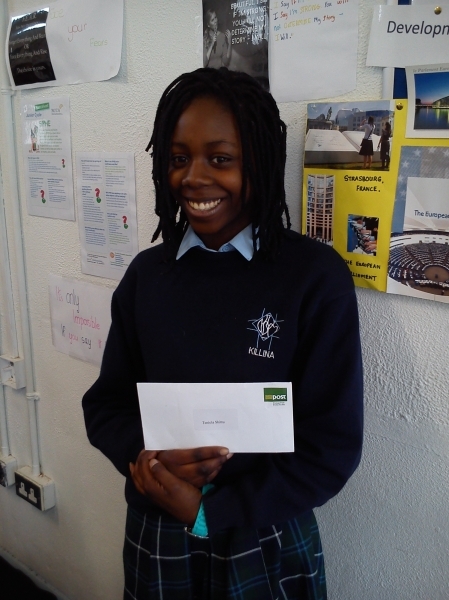 Congratulations to Teniola Shittu, 1K, who won a national runner-up prize in this year's An Post Handwriting Competition. She is pictured here with her classmates. 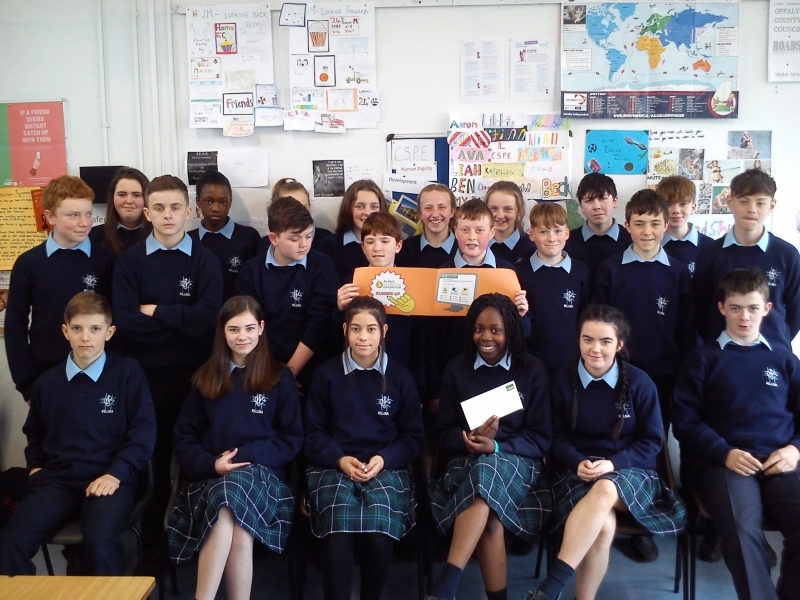 This is the third year in a row that the school has won a major prize in this highly-regarded competition which attracts thousands of entries from students all over the country.